* Illustrations from the Author's webpage which compliment the book. 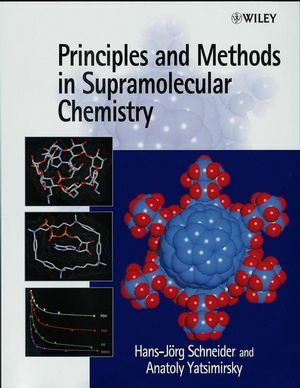 Hans-Jörg Schneider has taught supramolecular chemistry courses at various institutions throughout the world. He has published over 85 papers in this field including several reviews and book contributions. Anatoly Yatsimirsky has conducted extensive research in the field of bioorganic chemistry studying micellar and metal complex catalysis. He has also published over 50 papers in these fields. Basic Concepts of Host-Guest Complexation with Examples from Ionophore Chemistry. Non-Covalent Interactions and Organic Host-Guest Complexes. Energetics of Supramolecular Complexes: Experimental Methods. Surfactant-Based Supramolecular Systems and Dendrimers. Shape Recognition and Solid State Inclusion Complexes.